One of the hippest albums we've ever heard from tenorist Jerry Bergonzi, and one of the most beautiful too – a suite of tracks all based around the "seven rays" concept of spirituality – working together to provide a wonderfully righteous setting for Jerry's horn! 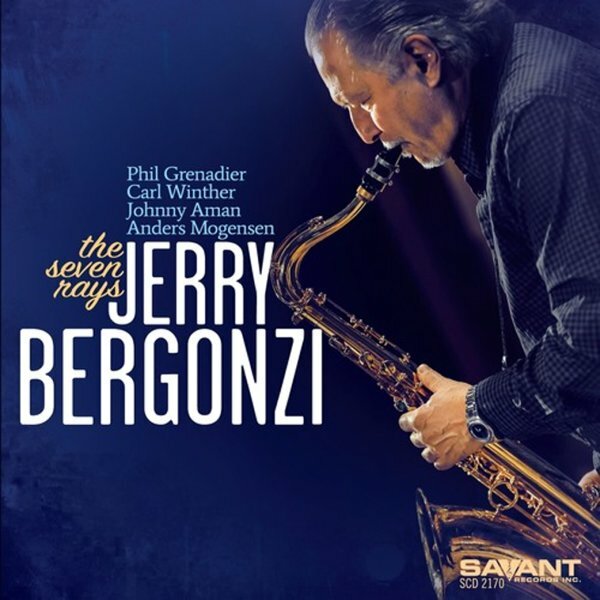 Bergonzi has always been great, but in recent years, he seems to have deepened his tone even more – mixing a raspy edge with that always-fluid sense of improvisation – beautifully augmented here by the work of Phil Grenadier on trumpet, Carl Winther on piano, Johnny Aman on bass, and Anders Morgan on drums. Bergonzi is fantastic throughout – really hitting a Joe Henderson level of imagination – and titles include "Magnetism", "Creation", "Knowledge", "Sun Worship Ritual", "Devotion", and "Order". © 1996-2019, Dusty Groove, Inc.